A friendly community within walking distance of the southeastern edge of the University of Florida campus, Palm Bay Apartments offers 1 and 2-bedroom apartments in Gainesville, Florida. Residents of Palm Bay Apartments in Gainesville, Florida will enjoy being able to walk to their classes at the University of Florida. Those with classes in the University of Florida College of Medicine can walk from their doorstep and get to class in a 15-minute walk, or for students who prefer to drive, they can get there in 4 minutes. The College of Pharmacy is only a slightly longer walk, and it will take 19 minutes on foot. Public transportation is available outside the community, and students can take the 303 bus to get to the College of Pharmacy in 25 minutes. 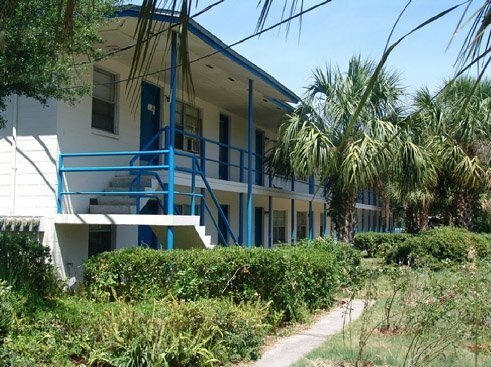 Plenty of dining options are conveniently located near Palm Bay Apartments. Those who enjoy a lively nightlife can walk 3 minutes and arrive at the Hop Top Lounge. Once there, they can enjoy bar games, happy hour and daily specials. Residents who crave the exotic can walk 7 minutes to Momoyaki. This restaurant features Korean and Japanese fare, which is perfect for those who want to try something different. Casual and quick options are right around the corner for those who prefer a simpler dining experience. An Arby’s and Steak n’ Shake are accessible in under 10 minutes on foot as well. Weekend entertainment is plentiful for residents of Palm Bay Apartments. A 9-minute drive or 44-minute bus ride on the 126 route will take residents to a number of cultural attractions in Gainesville. Residents can enjoy exhibits at the Florida Museum of Natural History, or they can experience the beauty and grace of butterflies in the Butterfly Rainforest exhibit. Art lovers can take in the latest and greatest pieces from a variety of artists at the Harn Museum of Art. For those who prefer to take in performance art, the Curtis M. Phillips Center for the Performing Arts is in the same area and always has a wide variety of plays and concerts available. 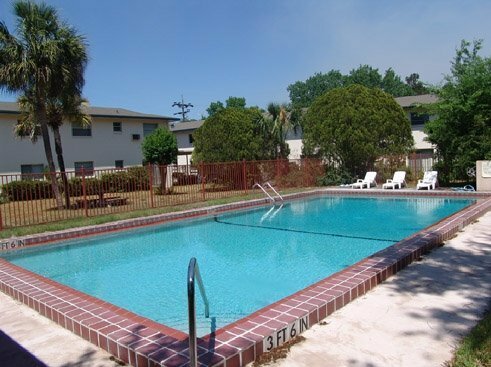 Palm Bay Apartments offers a number of great amenities to make their community a step above the rest. Residents can relax in the community pool, or they can hang out with friends at the picnic area complete with grills and tables. The community also has a coin-operated laundry facility for residents’ convenience. 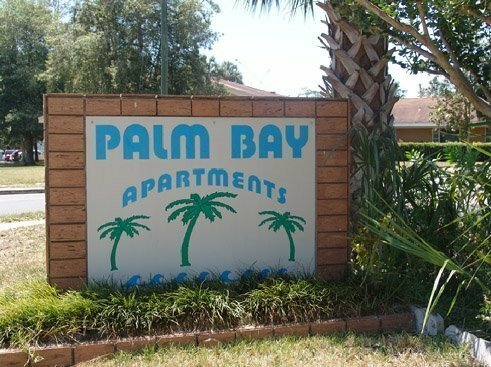 With its convenient location and great amenities, residents will love living at Palm Bay Apartments.